The state known as Utah began when Brigham Young led a group of Mormon pilgrims seeking freedom from religious persecution into the Great Salt Lake Valley, where they established a settlement in 1847. The state gets its name from the Ute, an Indian tribe who lived there before the pioneers arrived. The golden spike completing the first transcontinental railroad line was driven at Promontory, Utah, in 1869, leading to a further influx of settlers. 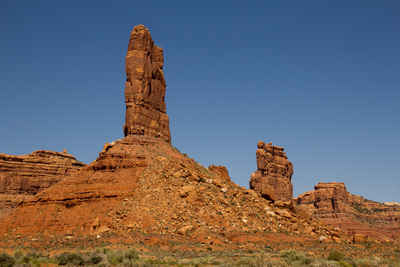 Utah was admitted as the 45th state on January 4, 1896. The capital, Salt Lake City, is also the world headquarters for the Church of Jesus Christ of Latter Day Saints, and Mormons make up 70 percent of the population. The sego lily is the state flower of the "Beehive State."